Then he meets Brandon, a person The Fort conditioned Nate to despise on sight. But Brandon's also the first person to treat him like a human instead of a monster. Brandon could never understand Nate’s dark past, so Nate keeps quiet. And it works for a while. But all too soon, Nate's worlds crash together, and he must decide between his own survival and standing for what’s right, even if it isn’t easy. Even if society will never be able to forgive him for his sins. S.F. Henson is an attorney living in Alabama with her husband, two cats, and a dog. 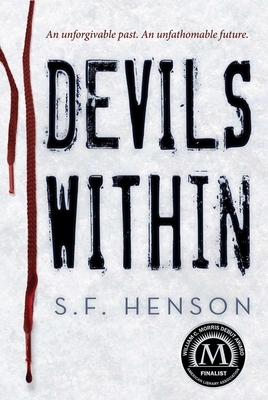 Devils Within is her first novel.